When choosing that perfect floral display, you want one that will leave a lasting impression. 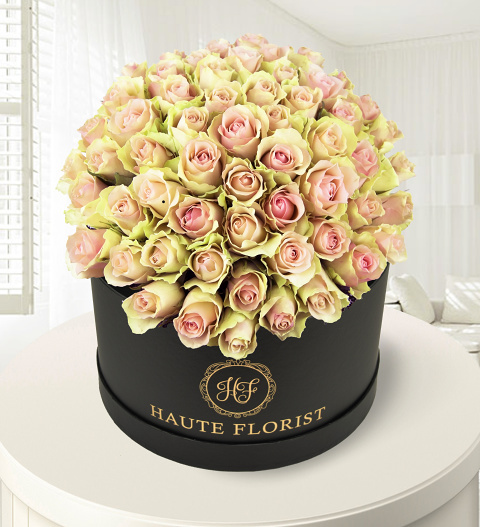 Beauty is a stylish presentation of a whopping 55 beautiful Labelle roses! These are incredibly exquisite roses with tonal pink shades framed with peach and white. These roses have an excellent life span to ensure it is enjoyed. Prepare for your recipient to say WOW! Chocolates may contain nuts.